Precision Electric Motor Works is proud to announce a new product: the Site Drainer. 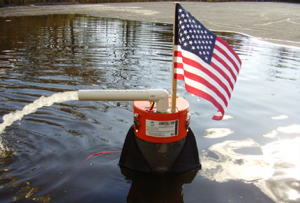 This simple, reliable and environmentally friendly dewatering system is highly efficient and prevents erosion due to sediment loss. 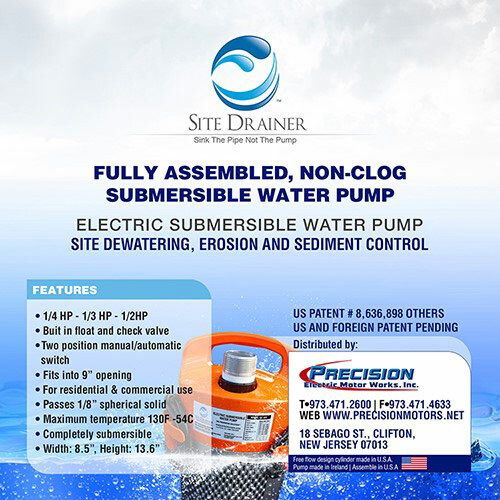 “Site Drainer is a newly innovative product intended exclusively for the water removal industry. 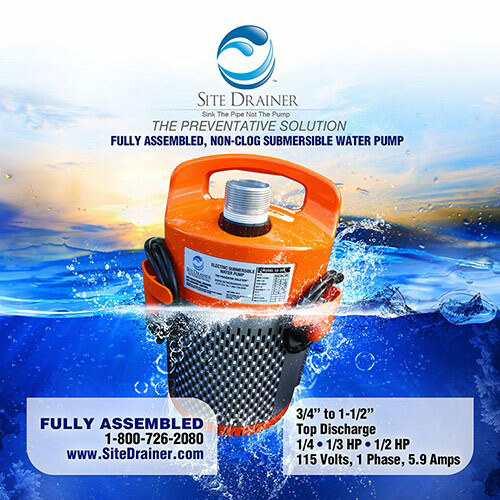 It’s patent pending technology surpasses most other electric submersible water pumps thanks to its unique design that focus mainly on the water, leaving most solid particles and sediment in its place therefore contributing to reduce the erosion and sediment control problem. Site Drainer is a simple, reliable and environmentally friendly solution for most dewatering applications.” Click here to read more!